We are currently looking for a Bar and Waiting Team Leader at this business. The Shift Supervisor role is vital in the overall success of the front of house team so we are looking for a Shift Supervisor who will be as passionate about delivering a great guest experience as we are. <br><br>BAR AND WAITING TEAM LEADER ROLE: <br><br>In the absence of the General Manager or Assistant Manager, lead business<br>Training and development of the team<br>Stock control and ordering<br>Maintaining high standards of cleanliness<br>Adhere to safety and hygiene regulations at all times<br>Staff scheduling <br><br>WHAT WE LOOK FOR IN A BAR AND WAITING TEAM LEADER?<br><br>To train and develop the team <br>Taking PRIDE in maintaining highest standards of cleanliness and safety<br>Great team-player <br>Enjoys and wants to be an active member of a team<br>To work calmly and effectively under pressure <br>Engage with the wider front of house team <br>Great eye for detail<br>Ability to confidently lead the team <br><br>ABOUT US<br><br>The moment when you approach the carvery and see the choice, quality and freshness of a Toby roast. That’s what makes our brand so special. We’re the home of the roast and our teams are an essential ingredient in our success. You make the atmosphere, you make the occasion and you make sure every guest feels welcome. In return, we’ll give you a place where you can really carve out a career for yourself. You’ll have support, training and, as you progress, plenty of rewards on your plate too!<br><br>WHAT WE CAN OFFER YOU:<br><br>We can offer you a personalised induction based on your current skills and knowledge, then set you some tailored goals within our S.T.A.R. development programme. This will help you progress to the next level, and beyond. Besides this you will have the opportunity to develop your career to some of our other excellent brands in Mitchells & Butlers. <br><br>33% off in ALL our businesses for you and up to 5 friends<br>Tailored industry training<br>Pension<br>Option to opt in for some of our share schemes (e.g. Free Shares Plan)<br>Shopping discounts with many UK leading retailers<br>Discounts on shoes for work<br>Flexible shifts<br>Up to 28 days holiday<br>Chance to earn extra money with our Referral Scheme<br>Oh, and you’ll have a whole heap of fun! 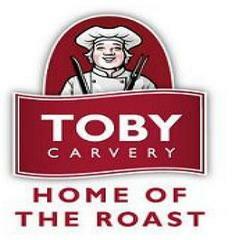 Toby Carvery - Snaresbrook is posting their hospitality jobs on Harri.